Purpose: This sociolinguistic paper discusses the relationship between language and belonging from the perspective of Arabic-English speaking bilinguals. 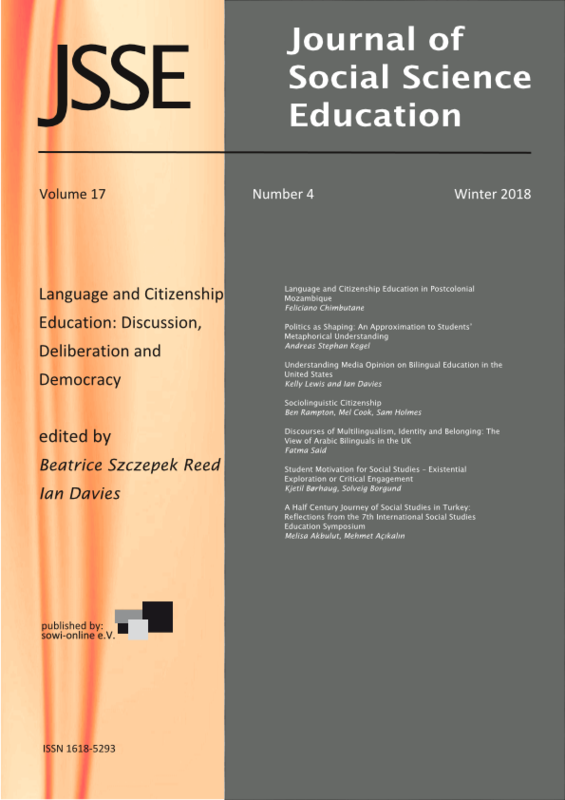 It explores what knowledge of language(s) means for the minority language speaker and investigates the challenges, consequences and opportunities multilingualism poses for its speakers in a globalised era that is fraught with re-imagining nationalism, country, security, loyalty, and belonging. The project reported in this paper aimed to (1) understand the symbolisms the Arabic language held for its speakers, (2) understand the ramifications knowledge of Arabic had for these bilinguals; and (3) explore how second generation Arabic heritage speakers define their identities and feelings of belonging to the UK. Method: Sixty-two people took part in the project; data was collected through a short survey followed up by interviews that further explored issues of multilingualism, identity and belonging. Data from interviews and qualitative responses from the survey were analysed thematically in light of Ingrid Piller’s emerging linguistic social justice framework. Finding: The findings suggest that English and Arabic are equally important to speakers; additionally Arabic is highly symbolic for reasons of religion, family, and cultural ties. The results however, also point to the apprehensiveness speakers have in using Arabic in public because they fear that they may be deemed too different, weird, abnormal, dangerous, disloyal or untrustworthy. The data implies that such hesitation leads to an anxiety of being viewed as ‘other’ and challenges how some young people envision their current and future belonging to the UK society.